Just finished Matt's E85 tune. This is probably the safest approach ive taken yet to extract major power out of a stock block while keeping overall torque to a minimum. Also note the spoolup.. 27psi by 4200RPM. mivec is doing some serious work. Last edited by tscompusa; Sep 26, 2012 at 10:26 PM. Looks good. 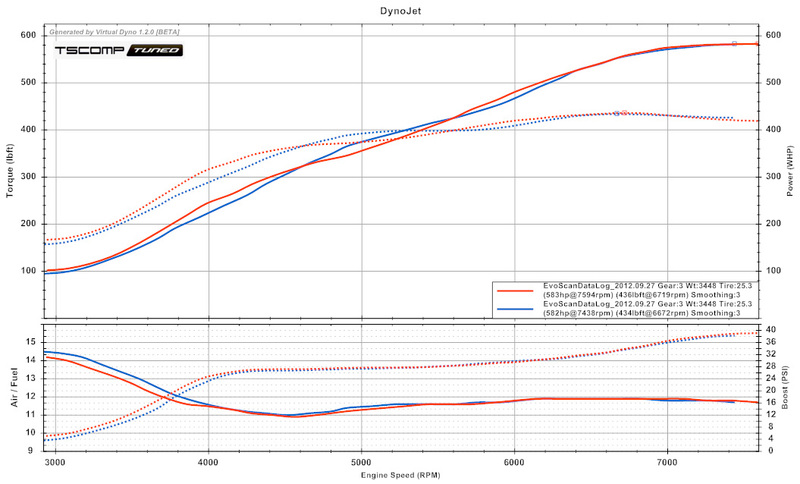 Interesting way to control the boost curve to keep torque in check. Last edited by evilempire76; Sep 27, 2012 at 11:05 PM. Its really amazing how smooth the curve is. Nice power. Wow, I have never seen boost graph like that. 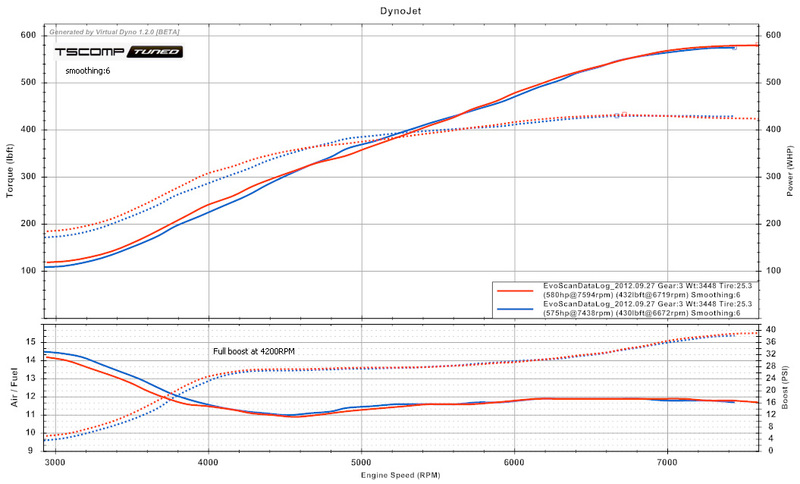 Jumps 10psi from 6200 to 7600. Its like he hit the "nos button" lol. Must be pretty sweet though. Always love to see new TScomptuned threads. omfg, now thats a ****ing map. WOW!!!!! badass keep that block alive!!!!! Location: San Elijo Hills, Ca. Sick map lol dreaming of something like that! Thats awesome!!! I hope mine makes similiar power. Looks like FP Blacks famous boost creep...... need an open dump?? I don't have boost creep and I don't have an open dump on my FP Black setup.